With landing page builders like Unbounce and Instapage so readily available – not to mention years worth of best practices to fall back on – the visual side of landing page design isn’t the challenge it once was. Unfortunately, none of this helps you when it comes to crafting landing page copy that convinces people to convert. Behind all the design tricks, this is the core ingredient that really inspires action and there are no templates or formulas for guaranteed success. Creating landing page copy that captivates people is a real art form – so here are ten examples that get it spot on. 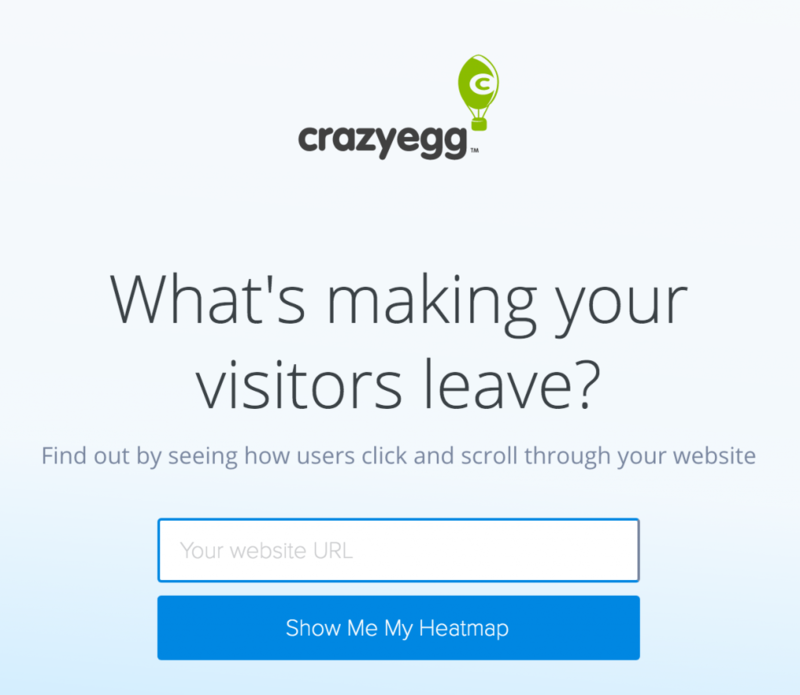 CrazyEgg jumps right in with the burning question people have in mind when they land on the page. It then backs this up with a demo where users can type in their URL to get their first heatmap. That’s a pretty difficult proposition to turn down for any website owner. Unbounce takes a different approach by telling users what they’ll be doing by using its product. 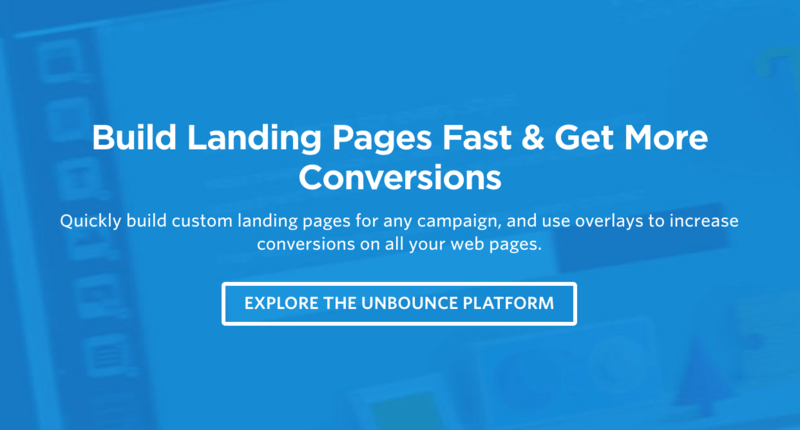 It’s literally telling users to “build landing pages fast and get more conversions” by signing up to the Unbounce platform. Essentially, this implies they’re wasting their time and not getting the conversions they could by not using Unbounce. This use of imperative sentence structure is the most common approach to CTA copy you’ll find. If you’ve got a lot of information to get across, it can be hard to organise everything into a visually compelling format. 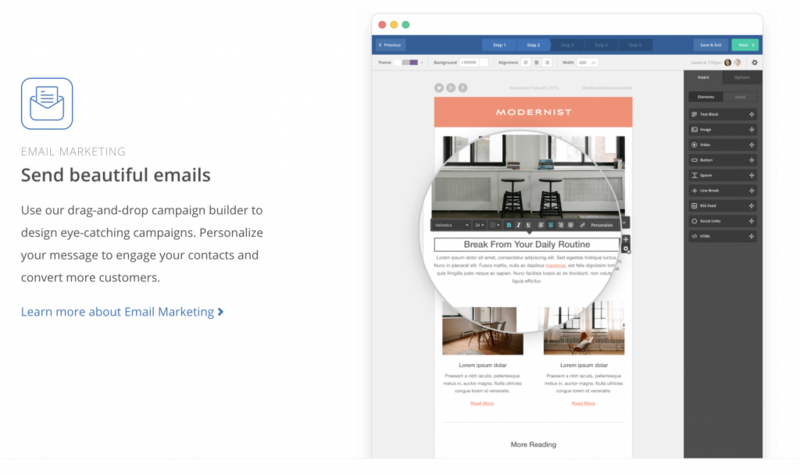 ActiveCampaign‘s landing page uses clickable icons to break up its content into email marketing, site messaging and SMS categories. This gives users an overview of what information is available and all they need to do is click an icon to get more information. Information overload is something you want to avoid with landing page design but, like many enterprise software platforms, ActiveCampaign has a lot of stuff to get across. I personally prefer a more minimal approach but check out the ActiveCampaign page if you’re going for a content-heavy design. This is no accident either. One of Asana’s key selling points is “from chaos to clarity” and the tech company stays true to its brand image across all of its landing pages. Of course, this wouldn’t work if Asana didn’t have such a strong grasp of writing great copy. It’s easy to say “less is more” when it comes to landing page copy, this only applies when you make the most of every word you write. 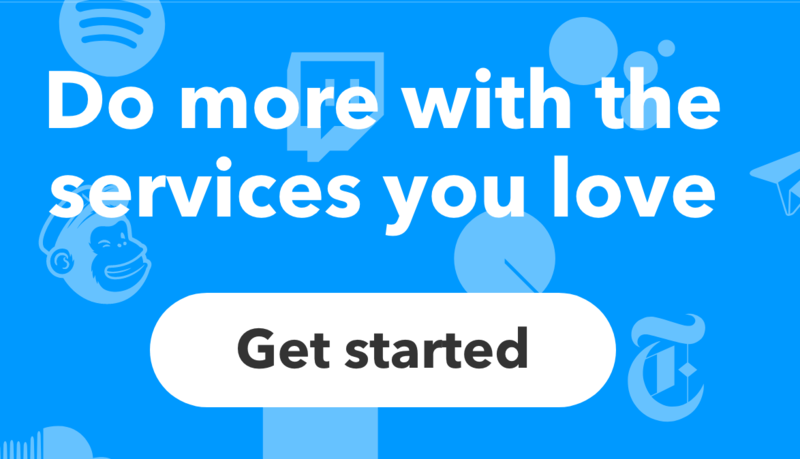 IFTTT is another SaaS platform but this fits into a very different category than ActiveCampaign and Asana. IFTTT is a lightweight app that links other platforms together, meaning it doesn’t have a tonne of features to plug, unlike our previous two examples. So, while Asana has a real decision to make regarding how much copy it fills its landing pages with, it only makes sense for IFTTT to take the minimal approach – and this is precisely what it does. 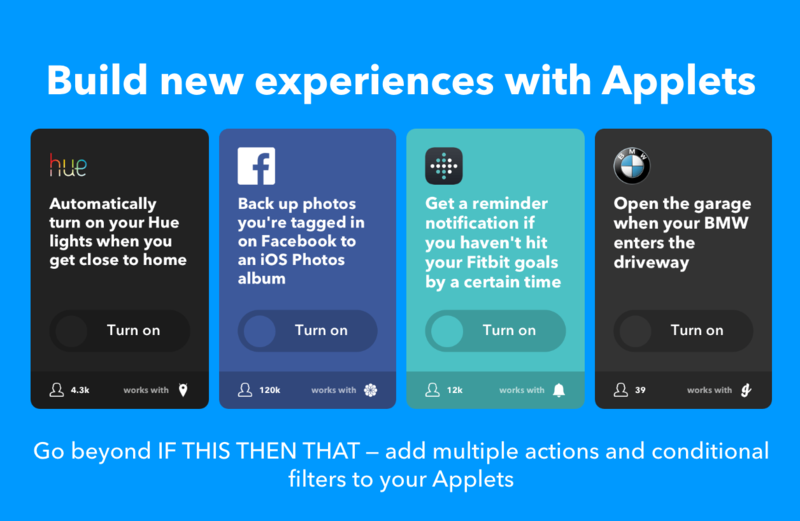 Once again, there’s short, punchy copy that tells users what they’re missing out on by not using IFTTT and what they have to gain by signing up. 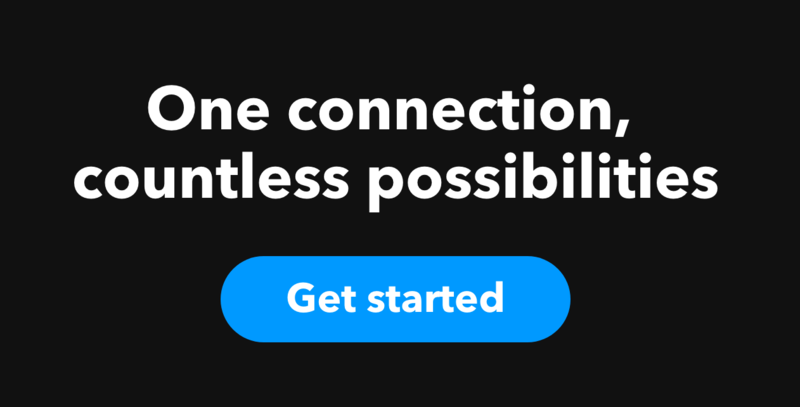 IFTTT doesn’t have the largest collection of landing pages but it certainly knows how to pen some good copy. While I’m not the biggest fan of Hootsuite page designs, this established name in social media management has been writing great copy for years. When it comes to any automation tool, there is one key selling point: convenience. Hootsuite sets itself us as the most convenient of automation tools by billing itself as “the easiest way to schedule posts on social media. This point is reinforced throughout Hootsuite’s free trial landing page, with a full section dedicated to explaining the various ways its platform saves you time. Shopify gives us another example of minimal copy, despite being a platform with a lot to say. I’ve seen a lot of Shopify landing pages over the years and they get lighter on the copy front as time goes by. Once again, though, it’s long descriptions replaced by punchy, compelling language that highlights the key benefits of using the platform. The point is, you don’t need to say everything on your landing page. The goal is to capture people’s interest and encourage them to convert – or, failing that, lead them to another part of your site where you can capture them as a different kind of lead. Of course they’re not getting enough qualified leads – this is precisely why users landed on this page in the first place. By echoing user concerns in its copy, Leadformly tells them it can deliver precisely what they’re looking for and, once again, this is backed up by another promise: capturing 2-3X more leads. Finally, Leadformly sets itself apart from other form builders by explaining the science behind its product and the years of experience that went into creating it. 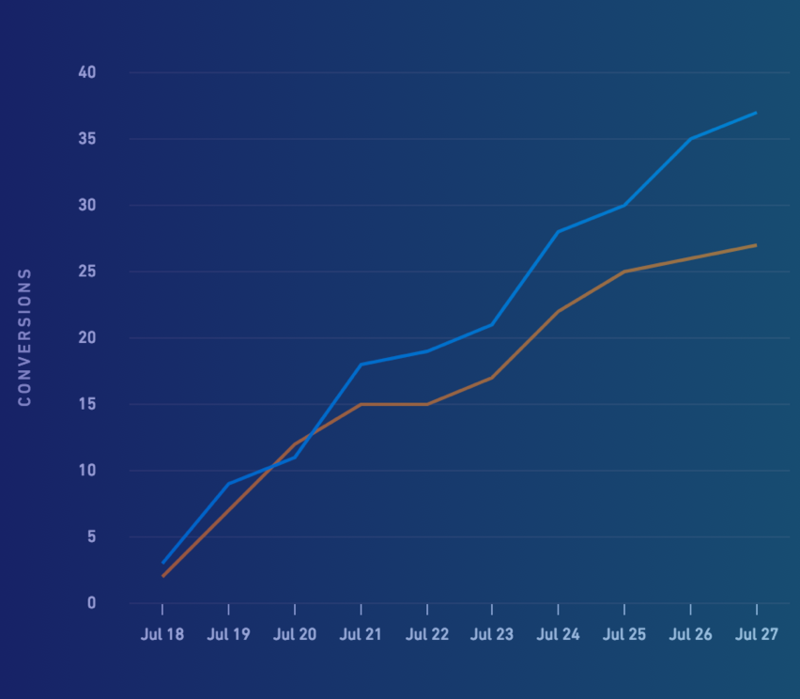 For a tool that makes big promises, it’s important that Leadformly is able to convince visitors that it has a history of getting proven results. 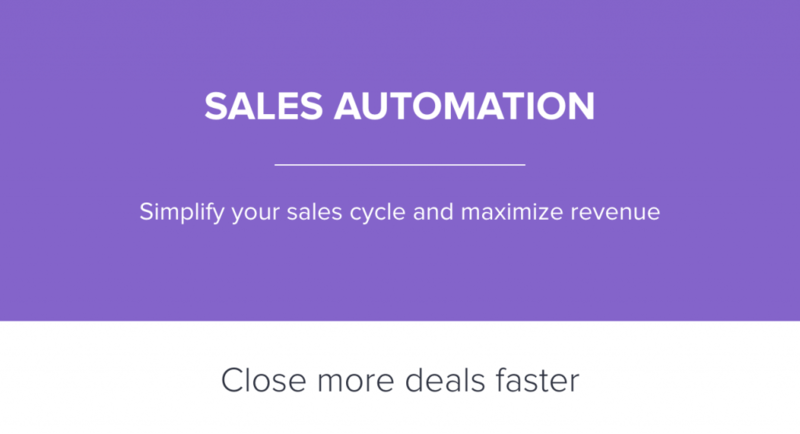 Infusionsoft is another big name in the automation game, this time providing a sales and lead nurturing platform for brands that need to streamline customer interactions. Much like Hootsuite earlier, Infusionsoft knows what its selling point is and the core benefit its product provides. Automation, simplicity and speed are how Infusionsoft helps you maximise revenue and not a single word is wasted on saying anything else. The tone implies businesses that aren’t using Infusionsoft are unorganised, underperforming in the sales department and wasting time while they’re at it. Much like IFTTT, Pocket is a relatively simple productivity app that serves a single, but powerful function. It starts by highlighting a common user problem: discovering interesting content you’re not ready to read right now. Is this enough to get people signing up, though? 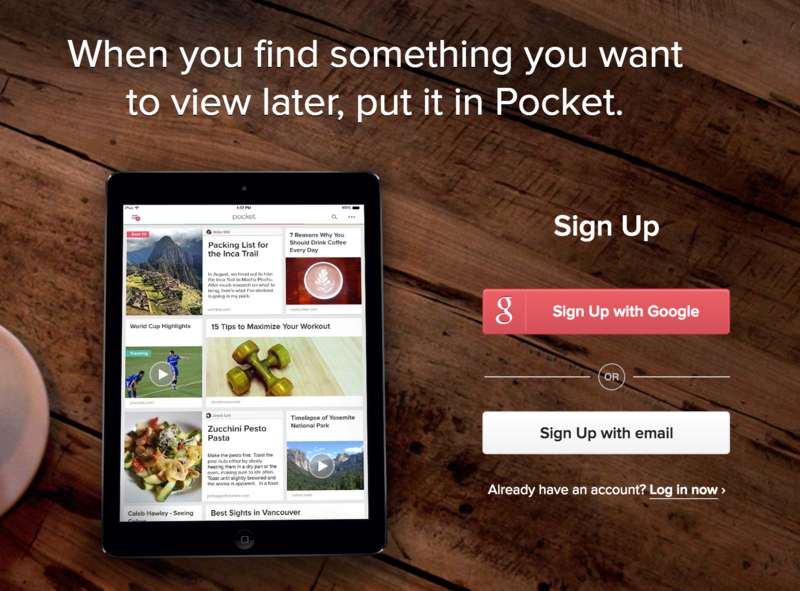 Pocket takes users through the actions they can take using the app, recreating the experience of browsing the web with Pocket on their devices. Pocket has the exact opposite problem most SaaS companies experience when it comes to landing page copy. Instead of having a tonne of information to condense down, it had to come up with a way to turn a basic function into something exciting – and it does a great job. Most brands are slowly coming round to the idea that design and visual elements are incredibly important with landing pages. When it comes to crafting powerful landing page copy, though, there’s a lot of work still to be done. All of the examples we’ve looked at today showcase concise copy that packs a punch with careful wording and short snippets of text. Not only that but they highlight the key benefits of each product and hint at what users are missing out on by not taking action. And, of course, they all point towards a nearby call to action that makes it difficult for users to resist clicking the all-important button.